Sliding glass patio doors with narrow frames really bring the outside views into your home and allow easy access to your garden. The don’t take up as much space as French doors and don’t need the fold back space of bifolds. Patio doors from Camberley Glass and Windows are energy efficient and, with a multiple locking system, more secure than the single locking point of a conventional back door. Our patio doors are built from lightweight aluminium or PVCu and can be available in many styles, frame depths, hardware options and finishes. We can make our doors to any size you require and all our doors are designed to meet the highest standards for reliability, security and performance with a fully insured guarantee. 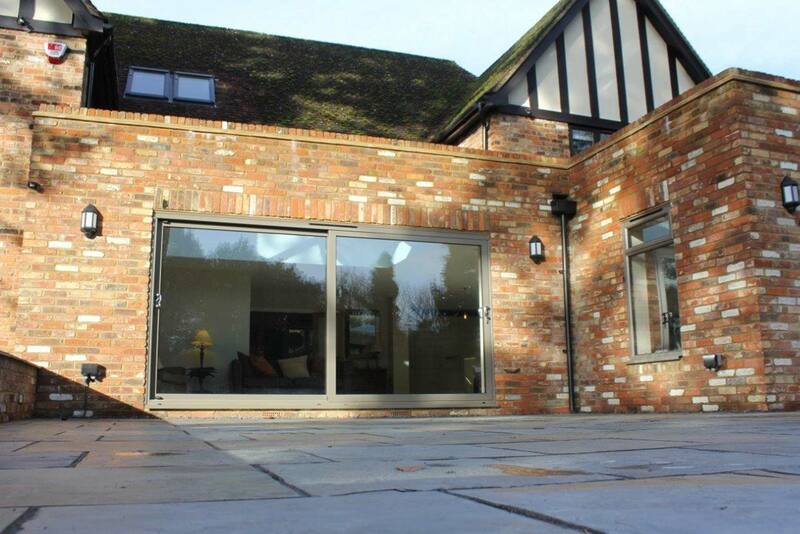 You could not do better than to consult Camberley Glass and Windows about your new patio doors. We have been working in Berkshire for nearly 50 years, having begun as a family run group of companies in 1965. We carry on the tradition of a family business and have at our core the desire to provide a professional service with customer care and attention to detail. We are justly proud of our record of service and you can see our customers’ comments on our testimonial page. Indeed much of our work comes from personal recommendation. We have very high ratings on the Checkatrade criteria and are on the Buckinghamshire and Surrey Trading Standards Approved traders list. There is no better company to go to in Berkshire to for your patio door requirements, so why not visit our showroom at our offices in Camberley, Surrey, and see our range of doors. If you wish you could chat to our friendly advisers who are all qualified and FENSA registered. They would be happy to give you all the advice you need and answer any questions you may have without subjecting you to any pressure selling.